Will increased gmo food yields cause human population increase? 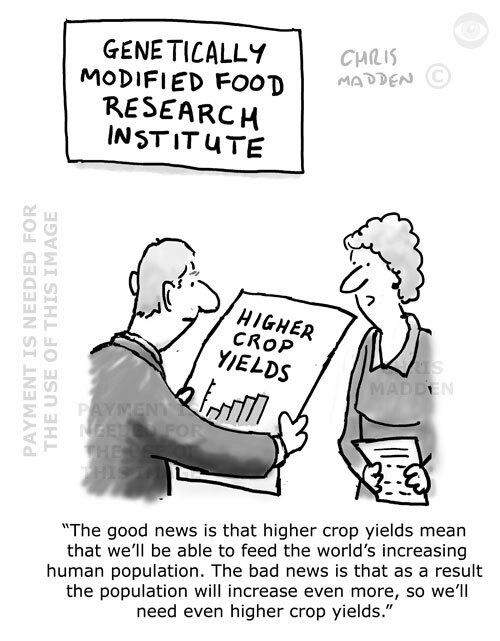 The cartoon shows scientists considering the consequences of increasing food yields and the possible resulting population increase. A cartoon about gmo, genetically modified organisms, human population increase.